Woke, walked Mix and breakfasted. 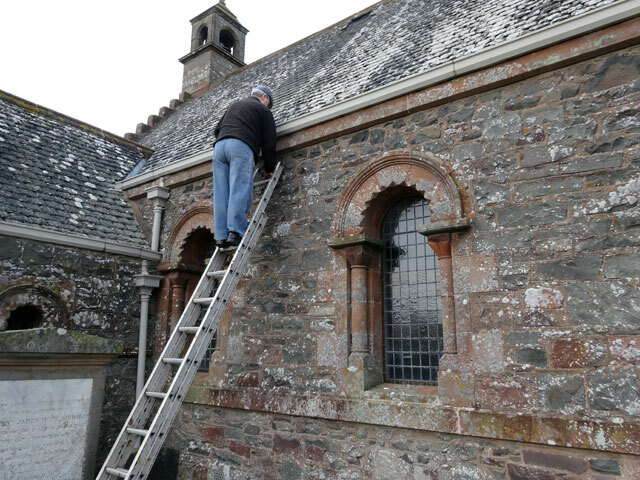 Tom arrived and we went off to Cranshaws Kirk to clean the gutters and to remove the chairs from the laird’s loft which had been badly affected by woodworm. The little Church at Cranshaws is a fascinating building on a lovely site. It traces its reformed clergy back to 1572 although its history goes back much further: James IV attended worship here before the ill-fated battle of Flodden in 1513. I do hope that as the Church of Scotland declines all of the beautiful little churches in our country do not disappear. Tom dropped me off at lunchtime and then picked me up again to take me back to Cranshaws to measure up the glebe and mark up the glebe plan for the benefit of the General Trustees. We met Clare, Ann and Jack (and had a very pleasant coffee in the manse). On our way out we met up with David who had come to repair the electrics in the Church and then it was back home to Mount Pleasant where I checked that everything was in order for our trip to London tomorrow. We dined in the farmhouse – Olive was missing because she was working with a student, her second of the day. Clearly the examinations are getting very close. I had a happy evening in front of the stove and the television watching University Challenge, Panorama and New Tricks before retiring for an early night before our early start tomorrow. Should say that I read the first edition of the new newspaper ‘The National’. I am not a newspaper reader. When I am surveyed about what I read I have to confess to ‘Practical Boat Owner’. But I was taken with this first edition. It was fresh and lively. I liked its world news section and I liked its style. I’ll certainly read it for the rest of the week and see if I have become hooked or not.